Today, 5th October marks the fiftieth anniversary of the RUC attack on the Civil Rights March in Duke Street, Derry. Tomorrow, beginning at 3pm, the march and intended route back then to the Guildhall will be replicated by Sinn Féin. One of those on the march on 5th October and who was beaten and arrested was Martin Meehan from Ardoyne in Belfast. 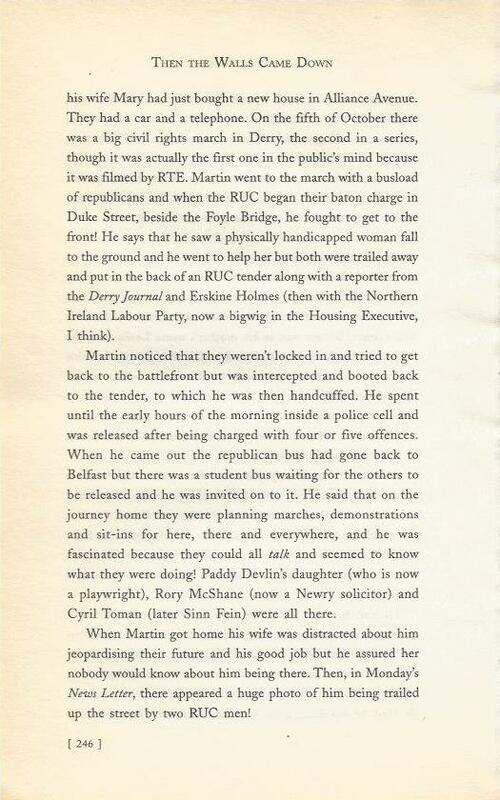 Martin, who died in 2007, subsequently became a senior IRA Volunteer, was arrested in 1971 and escaped from Crumlin Road Jail within weeks. He was imprisoned on several other occasions, was on hunger strike, and after his release became a Sinn Féin activist. Some years after his release he was contacted by an officer in the Green Howards Regiment who wished to apologise for his behaviour and that of his colleagues towards the people of Ardoyne, particularly after the introduction of internment (when many Green Howards also lost their lives at the hands of the IRA). Martin invited the soldier back to Ardoyne in a remarkable reunion underscoring the need for reconciliation and forgiveness. 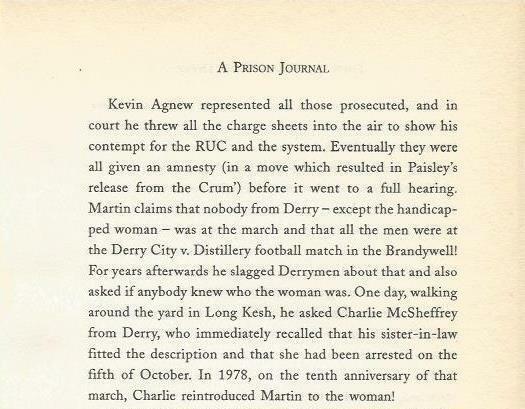 I was in jail with Martin on a number of occasions and this excerpt below is from my prison book, Then The Walls Came Down, when Martin told me about Duke Street.